Munra Falls slides down an ebon block of rock literally at arms length from the first footbridge along the Wahclella Falls Trail, making it a favorite of little kids. It's often quickly passed by on the way to Wahclella, and I'm no less guilty than anyone. 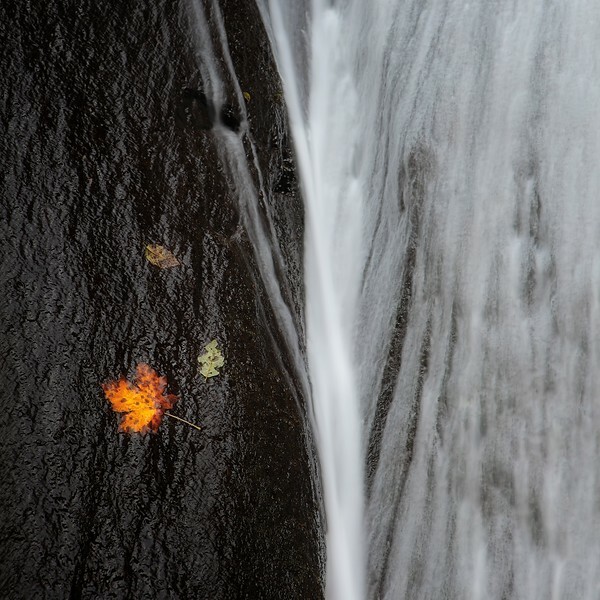 On the return leg of the short loop, however, I noticed a trio of autumn leaves clinging precariously to the cliff wall and thought it made for an interesting composition split 50/50 with the milky water.